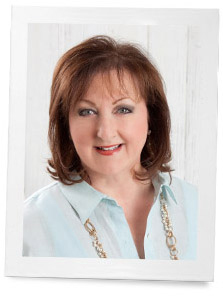 You know my passion for fried green tomatoes and my love of Acre Restaurant in Auburn, Alabama. Well, our last visit was totally amazing. David Bancroft and his staff create the most wonderful occasions—even when we just drop in for dinner! Every visit is a special event. If you are near Auburn, Alabama you just have to go. We enjoyed a lovely evening celebrating birthdays of several family members. 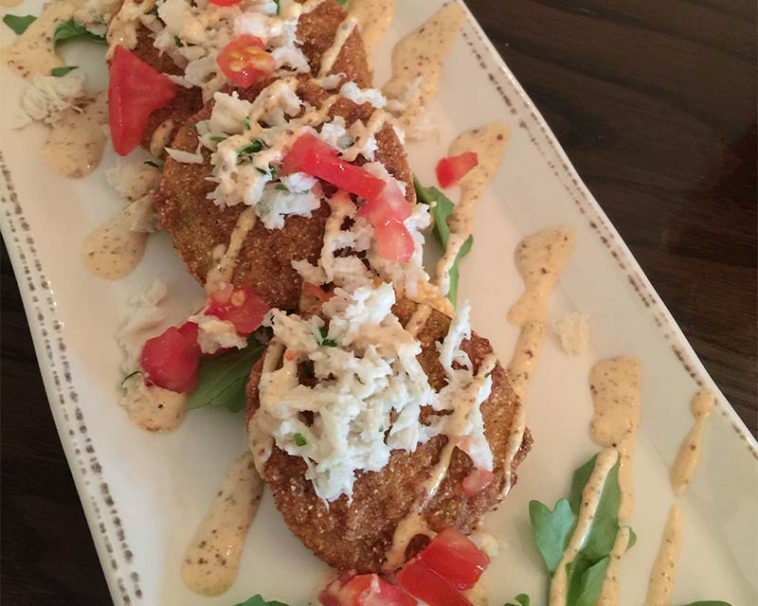 When it came time to order, I decided that I would make the Fried Green Tomatoes my entrée instead of an appetizer. Oh my goodness is it a show stopper. David has shared this recipe with us before, and I wanted to share it again. During these wonderful summer months of tomato growing, it is fun to sneak the green ones and cook them. 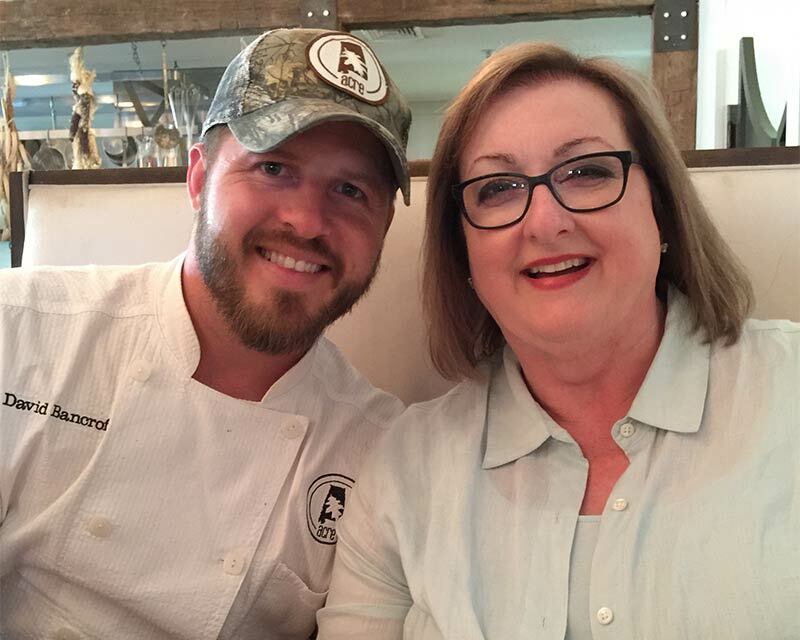 David and his wife, Christin, have created a haven at Acre. Surrounding the restaurant on their ‘acre’ parking lot, there are fruit trees, gardens, and delightful herbs. These are used in the magnificent dishes prepared by the chefs. 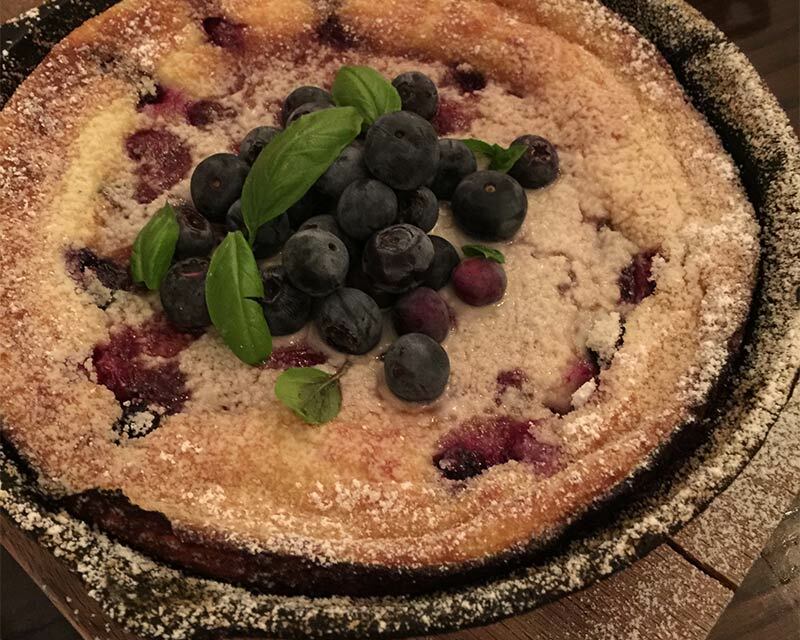 To top a delightful meal off, David prepared a delightful blueberry dessert in an iron skillet. We savored every bite. 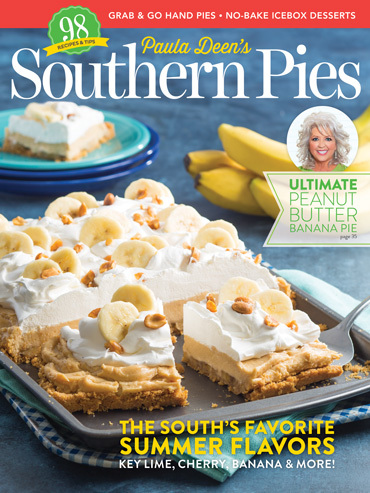 Through our cooking magazines, we have opportunities to meet famous chefs and restaurateurs. David is a star and is a nationally celebrated chef, winning many awards and receiving many honors. He received the James Beard Foundation award for Semifinalist, Best Chefs in America 2017, and Semifinalist, Best Chefs in America 2016. These are huge awards and we celebrate with him. What I love the most about him is that he loves his family and will often be found at the ballfield watching his son play or at an event with his daughter. He always sits and chats and has time for friends. He is the real deal. Christin adds her sparkle to the restaurant and is a partner at Acre. Thank you both for showing us that dreams come true with hard work and commitment. What’s your favorite summer meal? Hear! Hear! from a fellow Marylander. While visiting Charleston, South Carolina for work one year I tried “She Crab” soup. It was very good, I’d definitely order it again (I’m partial to cream soups anyway) but there isn’t anything really to beat Maryland Crab soup especially when prepared well with just the right amount of Old Bay seasoning. However, I don’t understand the need here to add on the Pimento Cheese with the tomatoes. Now Fried Green Tomatoes is something I definitely do like. I’ve tried to learn to like Pimento Cheese spread and I just can’t develop a taste for it. I have a recipe for something called Pimento Cheese Quick Bread I want to give a try. The Acre is delicious. I would drive to Auburn just to eat there. What a great recipe. How lucky you have that restaurant close by! I love fried green tomatoes! Growing up in New Jersey, we had the deserved reputation of having the best tomatoes in the country. That being the case, we would never dream to pick a tomato early, but would let them all grow dark red on the vines. And so we prepared and ate this special late summer treat only in September, after the tomatoes would no longer ripen on the vine. Huge green tomatoes hanging on the late summer vines would beckon us to fry them up! The main difference in our traditional recipe which we got from a Southern aunt, was we only used bacon fat, the fat that we would drain from our breakfast bacon (or BLT sandwiches) and store in big jar in the refrigerator or freezer all summer long in anticipation of making this treat. Now, I know that is not so healthy. but come on…many of us eat bacon anyway so why not try it for at least 1 batch? Nothing tastes so so good! I am a vegetarian most days, but I would eat a basket full of these bacon fat fried tomatoes! Let ingredients come to room temperature. Beat with hand mixer until all is mixed. Mix well. Service as a sandwich or Rizt crackers. Just had toasted pimento cheese sandwich with fresh homegrown sliced tomatoes and sliced avocado. Perfect recipes for a quintessential summer meal ! Might I add corn on the cob to the menu ? Of course , my crab meat will be from Maryland’s Chesapeake Bay . We in Maryland are very particular about our crabs ! Thank you for a delicious post ! Can’t wait to make the fried green tomatoes . OMGoodness ~ doesn’t this dish sound delicious?! Genius combination! We love shrimp almost any way one can prepare it – but shrimp salad and alvacado is definitely a favorite summer meal. Thank you Bancroff family and Phyllis for sharing. I didn’t grow up eating Fried Green Tomatoes (my mother wasn’t a Southern girl) but discovered them as an adult and absolutely love them! Order them any time they’re on the menu. The recipe you posted sounds heavenly and I can’t wait to try it. Thanks for posting. Grilled kielbasa sandwiches on rye with Kosciuszko mustard and kapusta, with a side of Polish cucumber salad. Fresh berries and cream for dessert with a lemon shortbread cookie or two.